56k Warning: I highly reccommend a high speed internet connection for viewing these pages, some of the photographs are fairly large. Note: This log will be updated as I can afford it, I'm not planning on buying the actual PC computer hardware until prices drop on the Intels and I see what AMD is going to be letting loose. Okay, with the disclaimers out of the way, on to the mod! I managed to catch the modding bug again, so I shopped and thought a lot about which case to use. 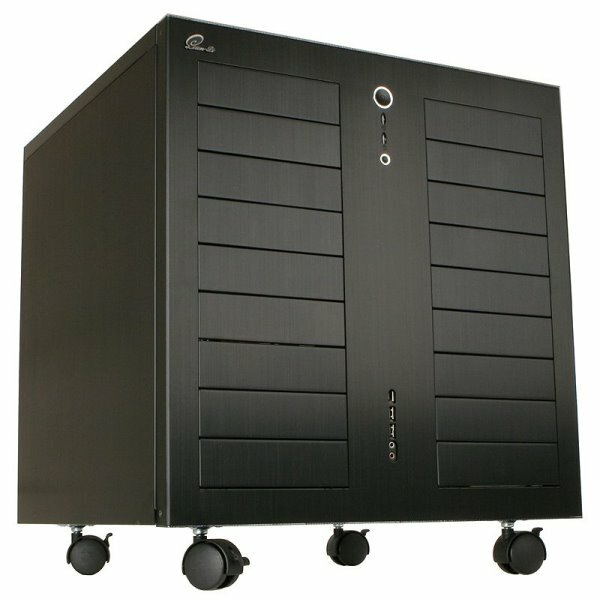 I'm the kind of person who enjoys a lot of space, so the Lian Li PC-343B stood out to me, looked like it would be easy to work in, and had that nice bulky look to it. 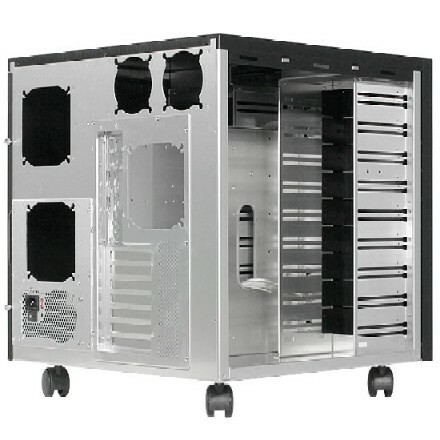 The case is a limited edition, sold by FrozenCPU.com, Perfomance-pcs.com and Xoxide.com, this particular one was bought from Frozen CPU. This will certainly not be a desktop computer! Most of the photos are linked to larger photos if you want a closer look, just click on them, they will open in a new window, which you can close when you are done viewing the image, and you'll be back here! I decided to make a water cooled machine this time, yes you can achieve pretty good and even comparable cooling with air, in some circumstances, the purpose of doing Water Cooled was to try something that was new to myself and held a particular interest. Here is what the case originally looked like, no windows on the top, or sides, black, kinda sleek but kind of blocky as well, it will be okay.